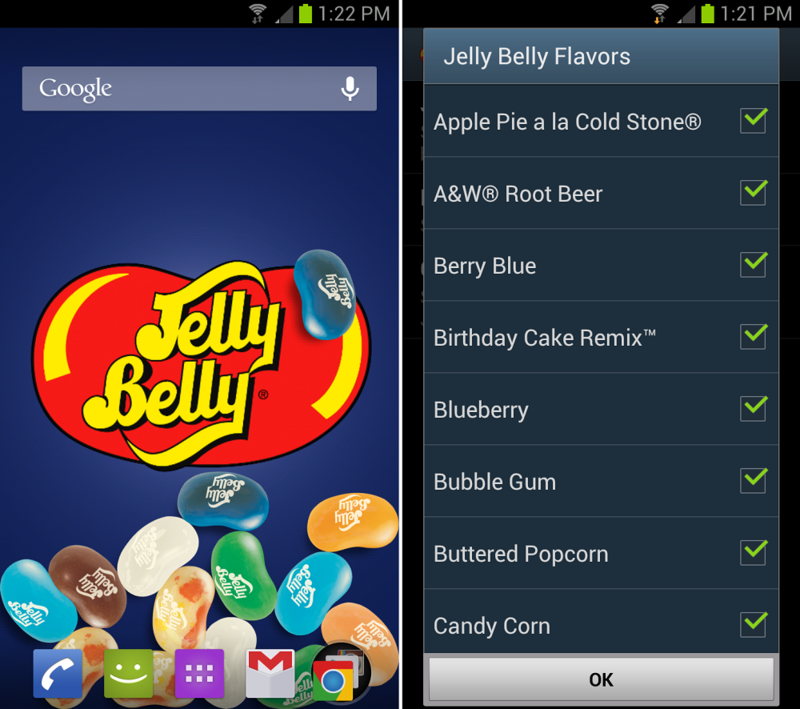 The Jelly Belly Candy Co. launched an official Jelly Belly live wallpaper onto Google Play to celebrate the release of Android 4.1, Jelly Bean. Wow, that’s a lot of Jelly. Anyways, once downloaded for free, you can choose from a large assortment of flavors to have displayed on your device. Along with the different flavors, there are also different backgrounds to choose from and a toggle for control over gravity’s effect on the individual jelly beans. Now if only I could reach into my device and eat these suckers.